Shea Belahi will not be held down by a corporate glass ceiling. In fact, she won't be held down by any ceiling: her office is the open sky. She is fiercely independent and, at age 30, she's her own boss—running her own farm. "I didn't know what to do with my life. I liked gardening a lot," she says. Shea now grows heirloom produce on a 1-acre plot in Illinois. Her vegetables, berries, melon and asparagus all started as open-pollinated seeds, meaning they rely on natural pollination from insects or the wind. Three years ago, Shea had no experience or background running a farm, but she was dedicated and learned from the ground up. She attended a series of seminars, workshops and mentorships offered by a nonprofit based in Champaign, Illinois. She learned business planning and was paired with a farmer. Today she has a relationship with a cooperative grocery store and enjoys sharing what she grows with visitors to her farm and with multiple farmers' markets. Shea admits she likes proving people wrong and pushing herself. "I always felt I took the harder path. I like to buck stereotypes and prove I can do something by myself," she says. 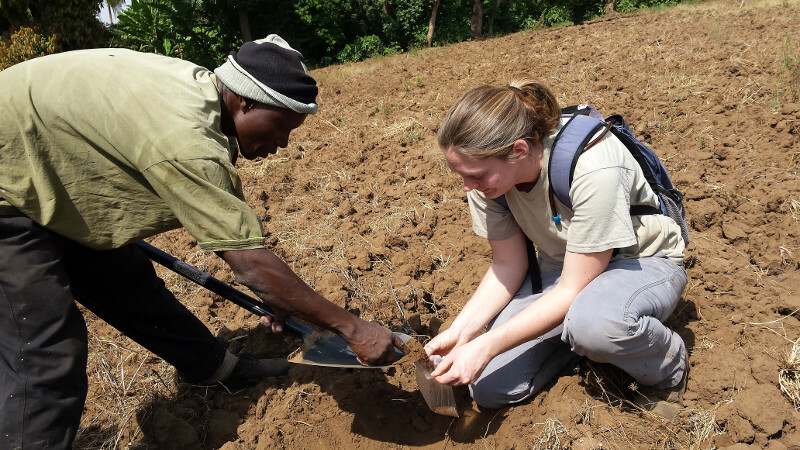 Shea did that again this past winter when she traveled with CRS' Farmer-to-Farmer program. The program helps people feed themselves and their families. Volunteers work alongside farmers in Africa to increase their food supply and expand their businesses. Besides growing international goodwill, participants can bond over increased opportunity and shared experience. As a new farmer, Shea did not know what she could offer. 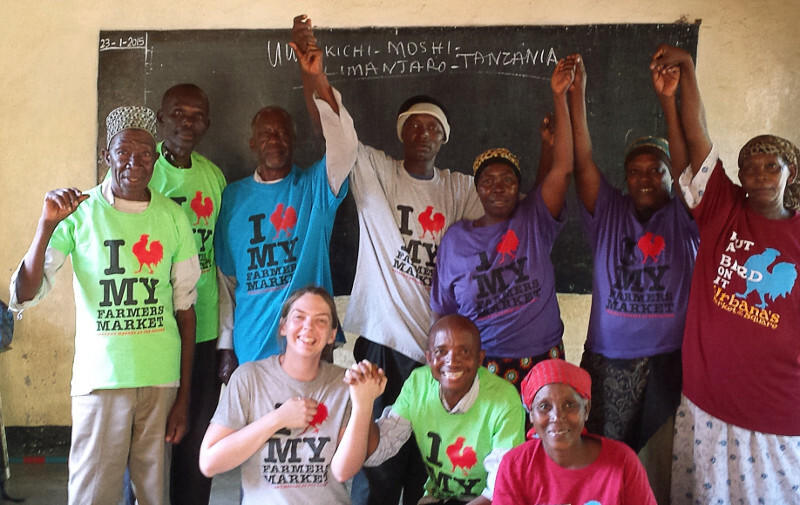 But in January, she traveled to Tanzania for 18 days to volunteer in a village outside of Moshi. She describes the experience as "challenging and eye-opening." In Illinois, Shea works with some of the best soil in the world. In contrast, the farmers she met in Tanzania were dealing with toxic chemicals in their soil, among other problems. They didn't have the books and technology to figure out why their farms were struggling. Shea quickly got to the nitty gritty of the problem—literally—by taking soil samples. In addition, she worked with the farmers to build crop rotation and composting into their practices. Shea spent hours researching problems that were area specific, including insects and soil nutrition. She says her work in Tanzania was not easy. As a young woman, her expertise was often tested. Some farmers with similar-sized farms but with more years of experience challenged her on what she really knew. Shea says she enjoyed the experience. She also proved herself. Some farmers readjusted their day-to-day routines. Others started cleaning their tools to cut down on disease. A woman she met began to improve her composting. While skeptical at first about what she—a young woman starting out with a small farm—could teach people in Africa, she now acknowledges the value of sharing what she's learned with others. "We have an education system, libraries and technology on overload. I didn't want to keep it to myself. I want them to do what they love and feed their families," she says. You do not have to be a farmer to volunteer with Farmer-to-Farmer. Here are answers to frequently asked questions about the program.